Fake news is not the same as bad news! 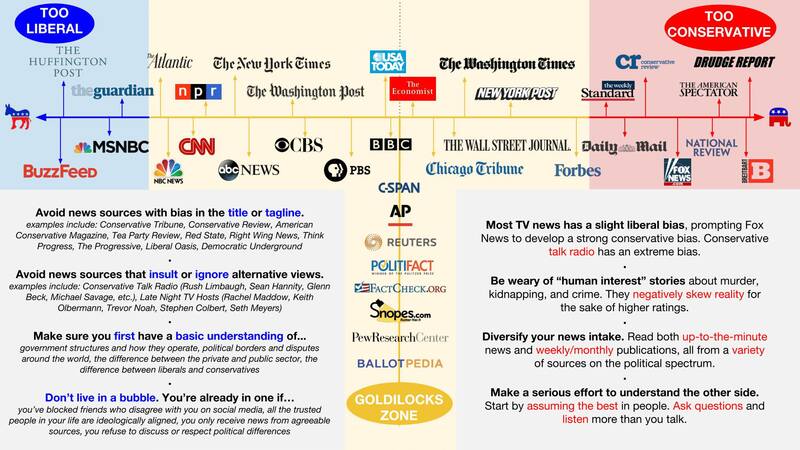 Categorizing all politically-biased information (especially the information we disagree with) as "fake news" feeds prejudices and assumptions-- exactly what we are trying to avoid! Read more on the distinction from Snopes.com founder David Mikkelson. 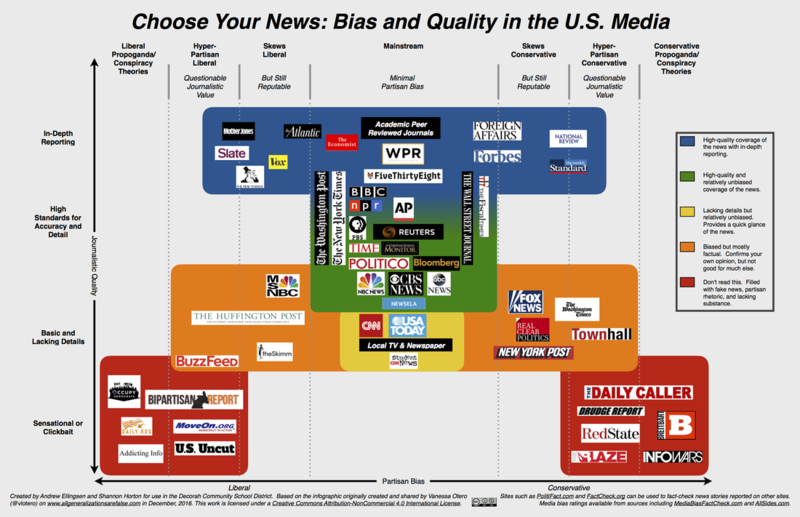 The Pew Research Center compiled extensive data to show how Americans interact with news. The results help explain the "fake news" crisis. 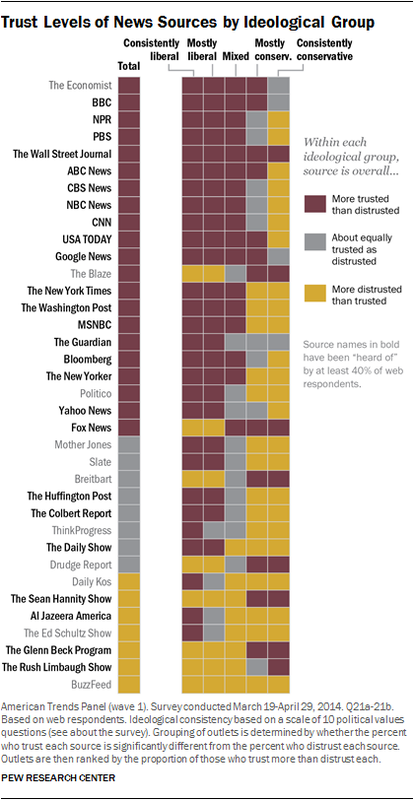 In 2014, the highly respected Pew Research Center compiled extensive research showing how political views influence how we interact with, trust, or share news sources. 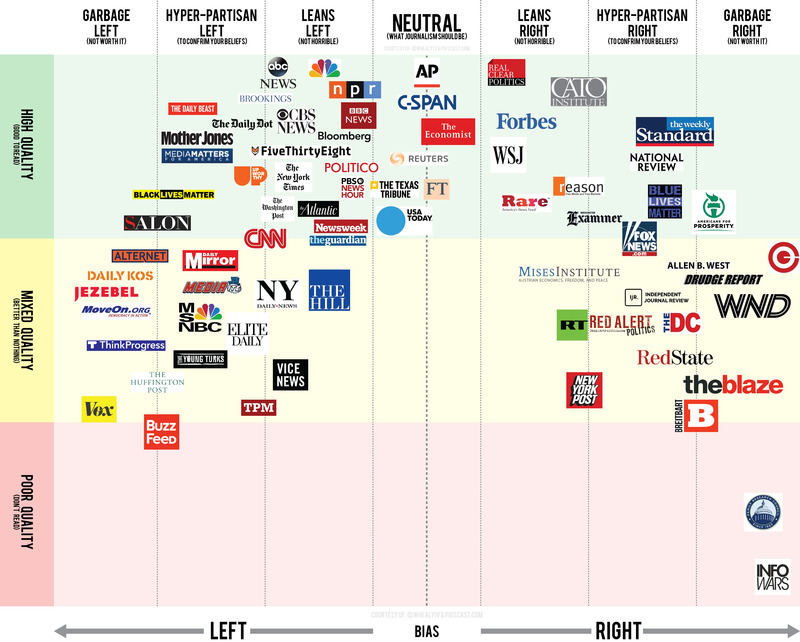 Journalist's perspective on political affiliation and the rise of biased news outlets. You may have seen graphics like the ones below-- and you probably noticed that each is slightly different! This is because analysis is subjective, or based on the unique perspective of the person creating the list. 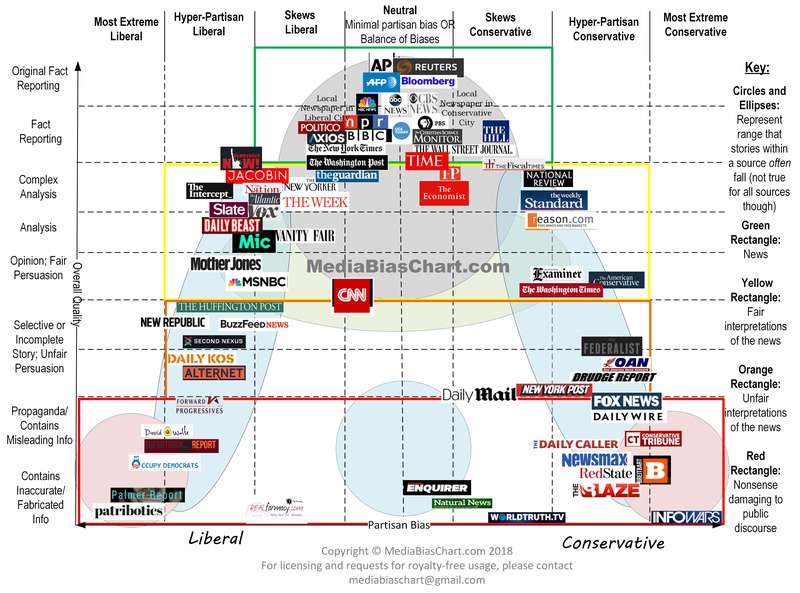 While these types of charts may be helpful for general ideas of political bias of sources, but it is up to YOU to analyze each article for its own merits. Andrew Ellingsen and Shannon Horton. (2017).